Teaching Hebrews the principles of governance and geo-politics. 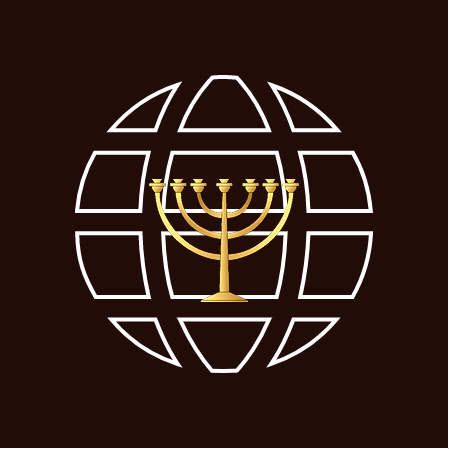 Yashah Ben Y'shua Yisrael changed the description of the group The Church at Victorville from “The Church at Victorville (TCVI) is a global Hebrew Yisraelite community, based in the High Desert of Southern California, USA. TCVI is a NON-501(c)3 unincorporated association. TCVI is the home of The Kingdom of Yisrael Community Network, KYCN RADIO and KYCN MEDIA (YouTube). TCVI teaches that so-called African American people are in reality Hebrew Yisraelites of David, Judah and Jerusalem; and therefore, the rightful and legal executors of the Divine Covenants. We also teach that true Gentile followers of Y'shua the Messiah and the true Hebrew Yisraelites, are naturalized, grafted-in Yisraelite citizens, representing every kindred, tribe, nation and people.” to “The Church at Victorville (TCVI) is a global Hebrew Yisraelite community, based in the High Desert of Southern California, USA. TCVI is a NON-501(c)3 unincorporated association. TCVI teaches that the so-called African-American people are in reality, Hebrew Yisraelites, of Joseph, Judah and Jerusalem; and therefore, we as a people, are the rightful and legal heirs, and executors, of the Divine Covenants. Congratulations, to DD, and the wonderful mentors and students in the HD! Excellent job! Here’s to a powerful new chapter in our labor for the Most High on behalf of our youth! And it works BOTH WAYS. Weak, perpetrating Hebrew men do that \”smear campaign\” b***s*** too! And it works BOTH WAYS. Weak, perpetrating Hebrew men do that “smear campaign” b***s*** too! Shalom beloved brother! I have a thought for your consideration. What do you think about updating and replenishing the MODJ for the new Jubilee season? And expanding it by adding members from America even now? @nekemiah Greetings Tyrone! Glad to have you on board, my brother. Please drop a profile pic so we can get to know you. Just access the menu at the top right for the many features you can utilize. We need your input! Especially in this early stage of the community. And please spread the word to your friends and brethren. Shal\’m/Peace.